Requirements for efficient parallel numerical computations fall into two broad categories: scalable algorithms and scalable implementations. For the discrete ordinates method the basic algorithmic building block is the transport sweep, and some form of convergence acceleration is required in order to combine sweeps into an efficient solver. This paper will focus on the implementation side of the issue. 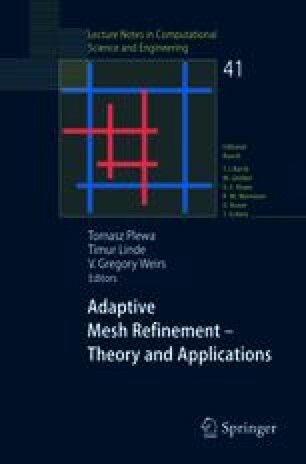 I will present a method for performing parallel transport sweeps in the context of a code for time-dependent radiation hydrodynamics using block-structured adaptive mesh refinement. Sweep patterns involving a single refinement level as well as sweeps coupling multiple levels will both be discussed. 2D and 3D numerical results will compare the parallel performance of these schemes with the multigrid solvers called by a radiation diffusion package implemented in the same code.